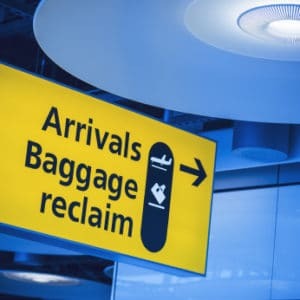 A solicitor has been struck off for bringing judicial review (JR) claims on behalf of immigration clients that he knew were hopeless but would thwart or delay their removal from the UK and potentially even lead to their release from detention. The Solicitors Disciplinary Tribunal said Azfar Naseem Bajwa had been motivated by a desire to grow his business. The tribunal found a “causal link” between a JR application and the deferral of removal from the country, possibly triggering a release from detention, regardless of the merits of the claim. Mr Bajwa, who is 45, was principal of east London law firm A Bajwa & Co. The Solicitors Regulation Authority (SRA) investigated the firm after receiving a letter from the chief operating officer of UK Visas and Immigration. He named it as one of a number of practices that had made disproportionately high numbers of claims for judicial review in immigration and asylum cases which had been certified as ‘totally without merit’ (TWM). A schedule provided by the firm showed that in the year to 1 April 2016, it had filed 71 claims for JR that were all failed. Some 53 of them were refused permission, of which 20 were certified as TWM. The firm had characterised 14 of the outcomes as a success, although only six of them involved the Home Office withdrawing the decision under challenge. Seven specific cases were examined by the tribunal. As well as the abuse of litigation, it found that Mr Bajwa had misled three of the clients into believing their claims had some prospects of success when he knew they did not. Both of these actions lacked integrity, the tribunal said. “These were not borderline cases where had advised a moderate prospect of success and had then been unsuccessful after full legal argument at a hearing. He was also found to have made submissions to the Upper Tribunal that he knew were not properly arguable – it was not just in imminent removal/detention cases that claims were found TWM – and also that he failed to supervise unadmitted fee-earners in his firm. One of them was his father, whom Mr Bajwa allowed to hold himself out as a barrister, while he allowed another unadmitted staff member appear as an advocate when she had no rights of audience. The tribunal said that though no clients had complained, “the fact remained that clients trusted solicitors to provide accurate advice and that trust had been breached in this case”. In mitigation, the tribunal recognised that Mr Bajwa had offered refunds to some clients and co-operated with the SRA, but it said was concerned about his “lack of insight into his misconduct” – shown by the limited admissions he made – and tendency to blame others, such as his father and brother, who also worked at the firm, and also counsel. In the circumstances, the tribunal concluded that the only appropriate sanction was a strike-off. Mr Bajwa was also ordered to pay costs of £37,500.